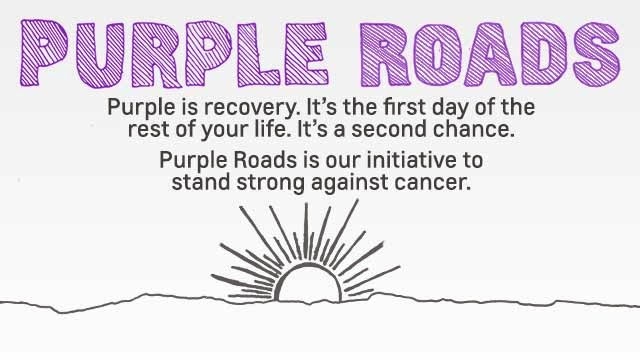 Join Chevrolet in donating $1 to the American Cancer Society for every purple profile across Facebook and Twitter! It's easy and helpful. Why not participate!? If you're in the Chicago area, or watch Guiliana & Bill, you know about this great organization. They are looking for people to help spread the word about breast and ovarian cancer in underserved communities. Email community@bebrightpink.org for details! There's 4 here, but certainly there are many more. Knowledge is power, and you never know how much more strength you have until you're armed with details. Check out these myths, and help dispell them. This group is amazing. Started by a young cancer survivor, Jonny and his crew pair survivors and fighters to make sure everyone knows they have someone supporting them. Their events are pretty cool, too! Join this group in standing up to cancer by sharing your story or knowledge about it. Getting the word out is just part of the battle, but it's very important. 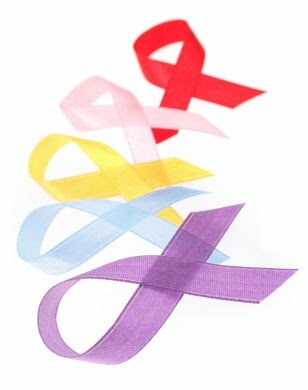 If you know of other ways to fight against cancer and get the word out, please share them!